BCDB Rating: 4.5/5 Stars from 4 users. This page has been viewed 25 times this month, and 1925 times total. 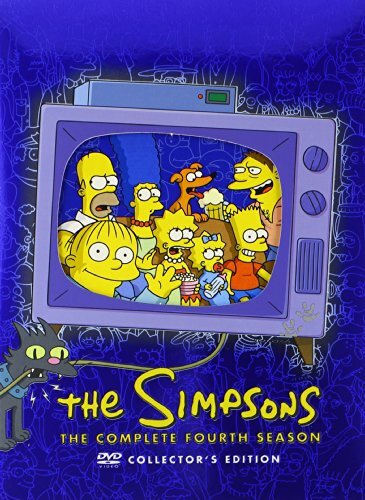 Featuring: Bart Simpson, Homer Simpson, Marge Simpson, Lisa Simpson, Maggie Simpson, Grampa Simpson, Barney Gumble, Krusty the Klown, Mayor Quimby, Genghis Khan, Patty Bouvier, Selma Bouvier, Ralph Wiggum, Chief Wiggum, Apu, Carl, Snake, Sea Captain, Wiseguy (Raphael), Agent Malone, Montgomery Burns, Waylon Smithers, Ned Flanders, Kent Brockman, Reverend Lovejoy, Principal Skinner, Dr. Hibbert, Lenny, Otto, Judge Snyder, Sebastian Cobb, Lyle Lanely, Lurleen Lumpkin, Maude Flanders, Miss Hoover, Leonard Nimoy. You can watch this episode today on your computer. Just click below to start viewing "Marge vs. The Monorail" online now. Thank you for viewing Marge vs. The Monorail on video. This material is neither supplied or hosted by The Big Cartoon DataBase. If you are having problems viewing this video, you must contact the content provider, NOT BCDB- there is nothing we can do to fix video streaming problems from another host. If this link is to copyrighted material, and you are the copyright holder and you wish this link removed, please contact us and we will be happy to accommodate your request. Do you have anything to add to this page? Have we made any mistakes... or do you ahve any additional information about Marge vs. The Monorail? If so, we would love to hear from you. Please send us a quick note with your additions or corrections to this page, and we will make the corrections as soon as possible! Below are comments about this cartoon submitted by people who have seen this show. Take a look and see what others have said about Marge vs. The Monorail. We want to know what you think, too!! Feel free to share your own opinion- we do want to hear from you! You can add your own comments here. Marge vs. The Monorail by Big Cartoon DataBase is licensed under a Creative Commons Attribution-NonCommercial-ShareAlike 4.0 International License.